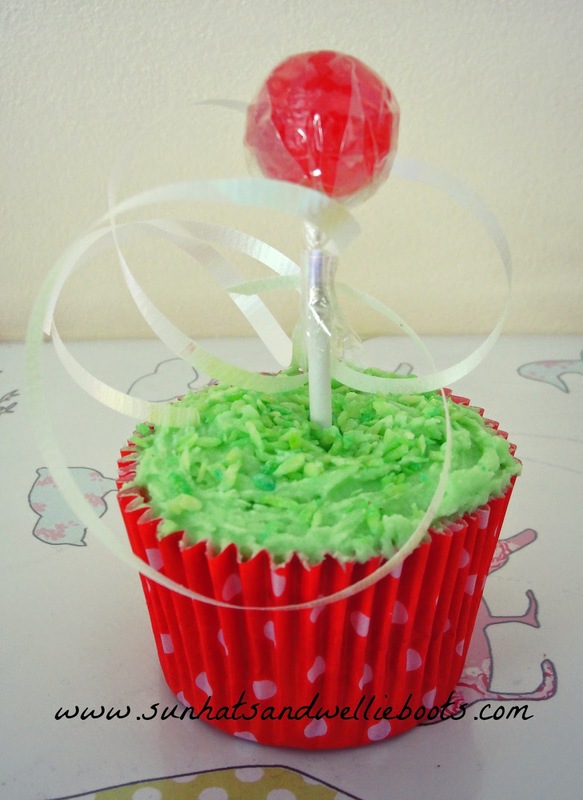 These little cupcakes are perfect for celebrating May Day, & would make a sweet treat for any children taking part in maypole dancing. To make the cupcakes we beat the eggs, flour, sugar & butter together in a food mixer until combined & smooth. We then spooned the mixture into cupcake cases, & baked at 180oc for 15-20mins until golden. Once cooled we made the runny icing (following the instructions on the packet) along with a drop of green food colouring & spooned over the cakes. 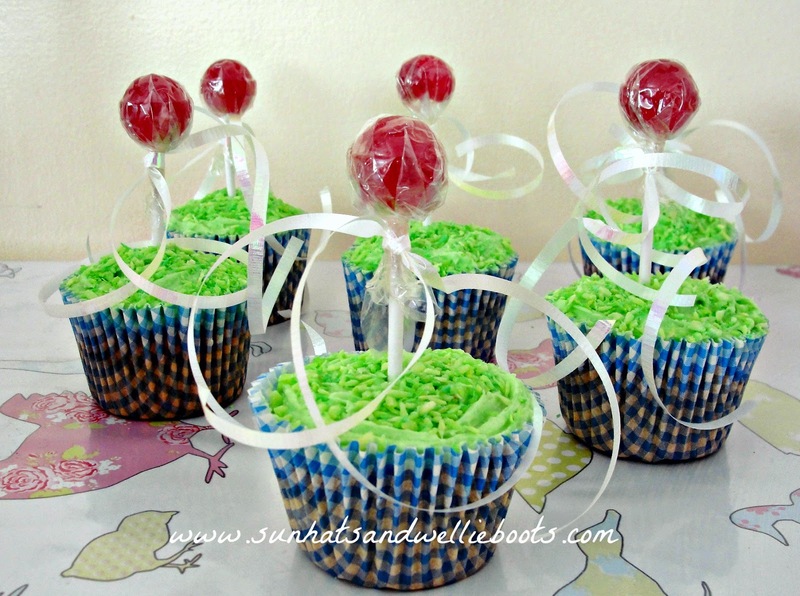 To create some green grass for the top of our cakes we added a few drops of green food colouring to a small food bag along with the desiccated coconut, mixed well, & then sprinkled over the wet icing. 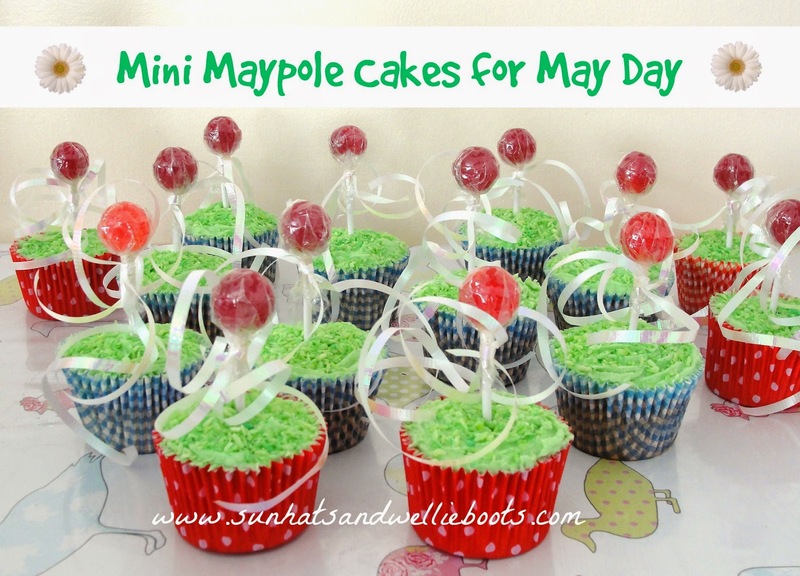 For the Maypole we tied 4 ribbons around the lollipop stick (under the base of the sweet) & then we gently pushed the lolly into the centre of each cake. As an alternative to the lollipop you could use a thin chocolate stick/biscuit & add string sweets as ribbons, but I figured this cake already had enough sugar. The idea of using the lollipop was that it could be saved & enjoyed at a later date. These were a big hit at a school fundraiser this week, & would make a cute centerpiece for any May Day celebration.